When choosing Suzhou as your next holiday destination, want to take the oppotunity to see this famous city and its sights, one day or two days are available of many highlights, including Humble Administrator's Garden, Lingering Garden, Tiger Hill, Beijing-Hangzhou Grand Canal, Suzhou No.1 Silk Factory, Pingjiang Historic Street and Zhouzhuang Water Towns, try Economy Bookings car rental here in Suzhou! 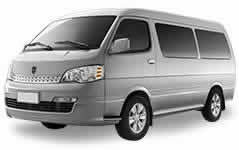 Are you looking for a reliable limo service to offer you a fast and safe transfer you from Shanghai Airport to your hotel in Suzhou or from Suzhou Train Station to your hotel in Suzhou? 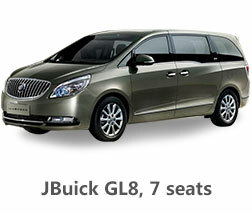 Are you expecting a carefree Suzhou limo service with driver for your sightseeing in Suzhou? Want to find an easier way to travel in Suzhou by yourself, not go on Suzhou Tour with a group? Hiring Suzhou Economy Car Bookings is secure, simple, cheap and you can easily make online car reservations. Why Should You Book With Suzhou Private Tour? Suzhou private tour provides Suzhou Airport Transfer, Suzhou Car Rental Limo Service, Iner-city Transfer, and Car Rental With Chinese speaking driver, luxury limousines and hire a car, the driver and English-speaking guide. Whether travelling for business or pleasure, Suzhou Private Tour is the perfect solution for travellers in need of ground transportation. From a simple airport transfer to an all day as directed service, each service is closely monitored from beginning to end. Suzhou Private Tour will open 24 hours a day, our team is ready to answer your questions, confirm your reservations or amend your travel schedule immediately at any time of day or night. Please feel free to contact us via Email or Tel, then you'll find our all the benefits of Choosing Suzhou Private Tour as your trusted Car Rental provider. Suzhou Private Tour has a large Suzhou rental car fleet with various vehicles, which are different in size, shape and colour, such as, Business Sedans, Luxury Sedans, SUVs, Armoured sedans, Minivans, Executive Vans, Minibuses, Minicoaches and Motorcoaches. All our drivers have the official licenses with at least over 3 years’ driving experience. The drivers are all properly dressed and familiar with the region, select the most dynamic route, observe local traffic regulations; refrain from smoking, eating and drinking in the passengers presence. 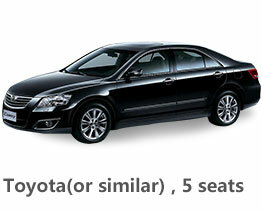 Please take it easy, and book our car rental in Suzhou. Your rental car with a licensed driver in Suzhou will help you see what you are going to see and see it all! Please take easy and believe in our professional drivers. All our chauffeurs have received strict training in the limo service professionalism. 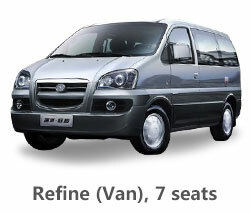 They will provide you the fast and safe car service in most of the conditions. We are your authentic partner!